When you or someone you’re traveling with has physical limitations it’s critical that you map out your travel plans in detail ahead of time. You’ll need to do thorough research into places that are accommodating and to what degree. Don’t settle for anything less than what will fully meet your needs. Sunset Beach NC vacations can be enjoyed by all, as we have rental homes that are equipped with features for those with physical limitations. Some of the homes have elevators that provide access from the ground to the top floor. There’s no reason why someone with physical limitations can’t enjoy Sunset Beach NC vacations these days. 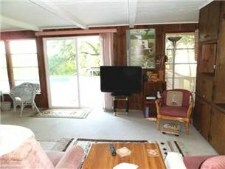 This home on the Sunset Beach mainland offers waterway views and is fully accessible. 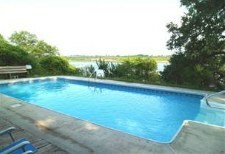 Enjoy a great swimming pool, huge screened porch with large deck and spectacular views of the Intracoastal Waterway. The home is completely furnished right down to the linens and towels as well as nicely decorated providing three bedrooms and two baths. Amenities here include a well equipped kitchen, central heat and air, washer /dryer, three color cable TVs, VCR, DVDs, ceiling fans, outside shower with dressing room area and 1/2 bath. This home is also pet friendly! People are more aware than ever that not everyone gets around on two legs and as boomers age their homes are becoming more accessible and accommodating for those with challenges of many types.